Product prices and availability are accurate as of 2019-04-17 02:54:30 UTC and are subject to change. Any price and availability information displayed on http://www.amazon.com/ at the time of purchase will apply to the purchase of this product. 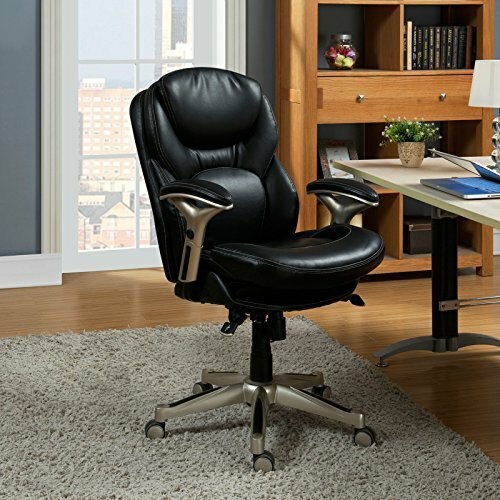 Adorn your office decor with comfort and style with the Serta Back in Motion Health & Wellness Eco-friendly Bonded Leather Mid-Back Office Chair - Smooth Black. 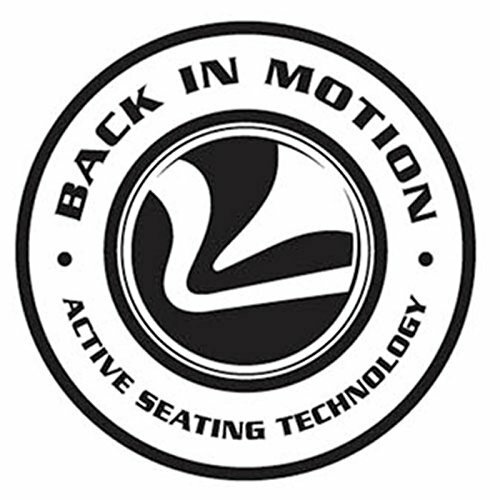 The deep, ergo layered body pillows offer added comfort while its active lumbar pivots with your movements for continuous lumbar support. Its heavy-duty base features a light neutral high gloss finish and meets with BIRMA standards. 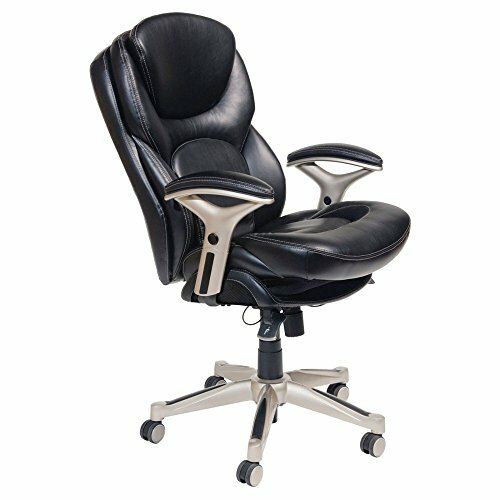 A stylish push-button height adjustable padded armrests provide precise arm positioning, much likes its ergonomically positioned seat-side cable actuated levers that control the pneumatic lift and lock features. Some assembly is required. 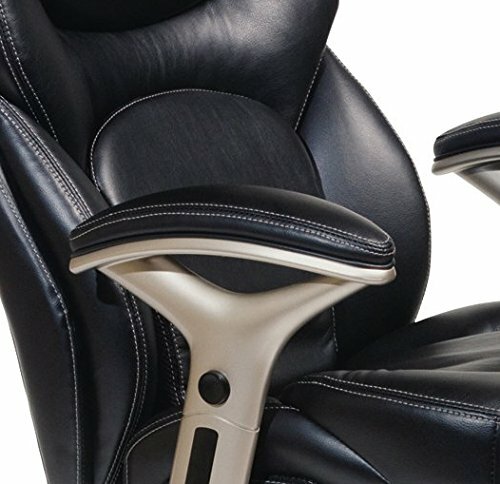 Heavy-duty base in a light neutral high gloss finish. 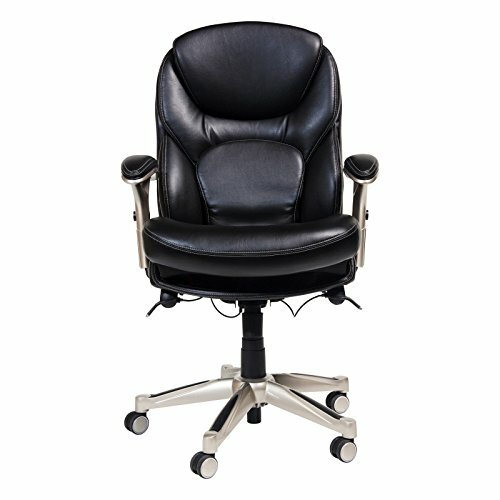 Eco-friendly smooth black bonded leather upholstery. Deep, ergo layered body pillows for comfort. 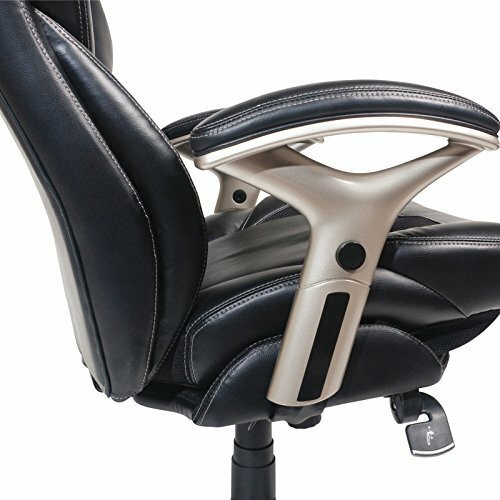 Active lumbar support pivots with your movements. Some assembly required. Dimensions: 27W x 30D x 43.75H inches. Seat Height: 20.25 inches.